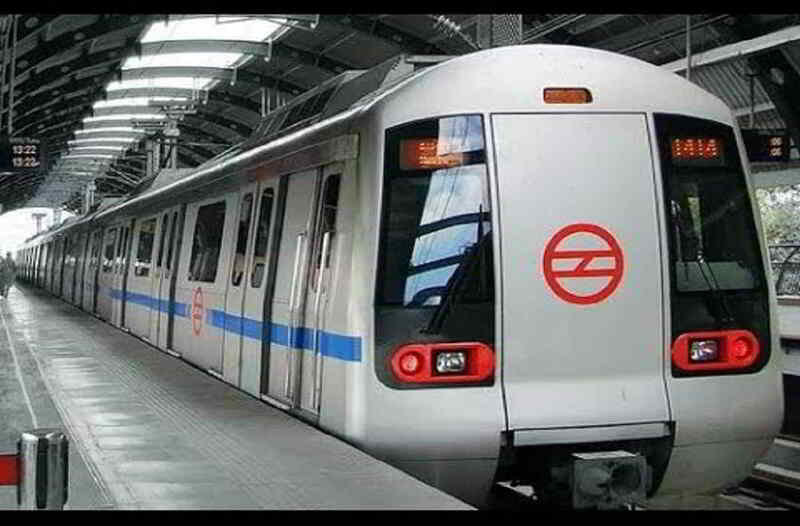 New Delhi: Four days ahead of the proposed Metro fare hike, the Centre has informed the Delhi government that if the latter is willing to pay an amount of Rs 3,000 crore to the DMRC every year, then a new Fare Fixation Committee (FFC) could be set up, news agency ANI reported. The DMRC, which is set to increase the fares of Metro tickets in Delhi for a second time this year, has been facing strict opposition from the Arvind Kejriwal-led government. The FFC had recommended a hike in fares which was to be implemented in two phases once in May and the other in October. Despite a vocal protest, minimum fare was hiked from Rs 8 to Rs 10 and maximum from Rs 30 to Rs 50. On October 10, the price will be increased further by Rs 5-10 for more than two kilometers. In a letter to the MD of DMRC, the state transport minister Kailash Gahlot has said that they oppose the second fare hike suggested by the DMRC as it is in violation of the recommendations of the FCC. Delhi Govt. Transport Minister Kailash Gahlot written a warning letter to DMRC Chief Mangu Singh on metro fare revision issue. The members of the 4th FFC were Justice M. L. Mehta, retired Judge of the High Court of Delhi as Chairman, Shri K. K. Sharma, the then Chief Secretary, GNCTD and Shri Durga Shanker Mishra (Additional Secretary, Ministry of Urban Development). The necessity of revision in fares was on account of increase in the cost of inputs viz. the staff costs, the cost of energy and the cost of repair & maintenance. Since constitution of the 3rd FFC, there has been increase in the rate of industrial DA by 95.5% (from 16.90% to 112.40%), rate of Central DA by 103% (from 22% to 125%) and average increase in the rate of minimum wages by 156.2%. The last fare revision took place in 2009 and the 4th FFC was set up after almost 07 years. The fare revision will be implemented in two phases i.e. Phase-I that will be implemented with effect from 10th May 2017 and Phase-II that will be implemented from 1st October, 2017. There will be a total of six fare slabs as against the existing 15 fare slabs with a minimum fare of Rs.10 and a maximum fare of Rs.50 in the 1st Phase. With a view to encourage ridership on Sundays and National Holidays (26th January, 15th August and 2nd October) special discounted fares have been approved. 10% discount to be continued on every journey made by the passengers using Smart Card. To avoid overcrowding during peak hours, an additional 10% discount will be given to the passengers using Smart Card who exit from metro system during off peak hours. Value of Tourist Card for 1 day and 3 days validity shall be Rs. 200/- and Rs. 500/- respectively including security deposit of Rs. 50/-. There shall be no change in the fares of Airport Express Line. This is fourth time since the beginning of its operations in 2002 that Delhi Metro is revising its fares. When Delhi Metro started operations on 25th December 2002, the minimum fare was Rs. 4 and maximum was Rs. 8. The 1st fare fixation committee was constituted in December 2003 and revised fares were adopted w.e.f March 31, 2004 (after a gap of one year and three months) with minimum fare of Rs. 6 and maximum Rs. 15. The fares recommended by the 2nd fare fixation committee were made effective form 31st December 2005 (after a gap of one year and nine months) with minimum fare of Rs. 6 and maximum Rs. 22. The 3rd fare fixation committee was constituted in June 2009 and fares were made effective from November 13, 2009 after a gap of 4 years (approx) with minimum fare of Rs. 8 and maximum Rs. 30. Kejriwal GOING against FFC recommendation. His govt. Which tuk PART in FFC meetings n finalsed the fares, why he didn’t raise this issue then n there.that wud have solved his purpose. Now he is threatening DR. MAGHU SINGH with dire consequences, Instead he Shud ask the urban Development minister to solve this matter. mantri Hardeep Singh has given a reply, that’s fare n clear.IF FARE RISE IS GOING TO B WORTHLESS,THEN HIS GOVT SHUD PAY 3LAC CRORE PER YEAR, WHICH IS NOT POSSIBLE. MAGHU SINGH has to run DMRC n needs money. HE IS NOT BOTHERED AS TO WHO WILL SHELL OUT. KEJRIWAL PLAYING DIRTY POLITICS..